There is a growing trend developing in America of women stepping up and speaking out. By lending their voices to support important issues, women everywhere have become collective, energizing forces behind some of the most powerful movements within the past year. But just as women are making a difference nationally, they are also making a difference at the local level. They unite to take action and make change through giving, volunteering and exerting their influence and power to make change through service. 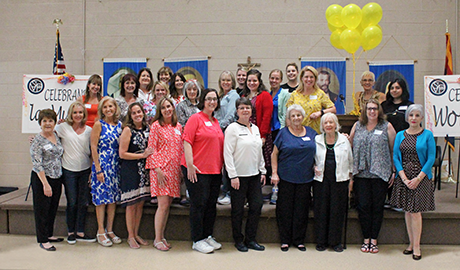 Earlier last year, St. Vincent de Paul established its first women-focused philanthropy group: Women in Service and Hope, or WISH. 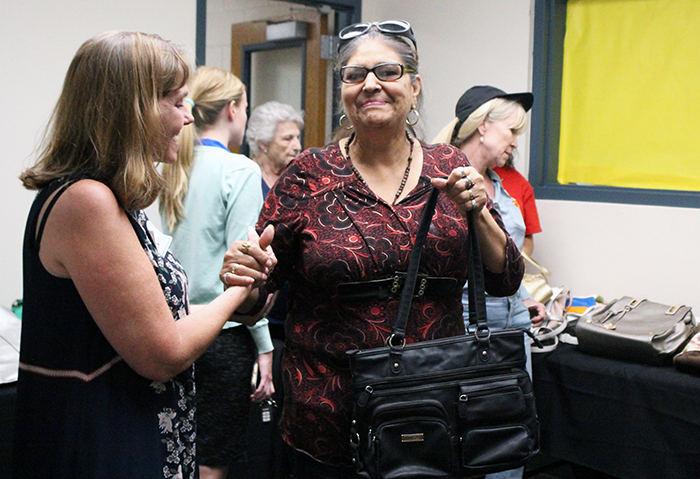 WISH was created with the intention of bringing together like-hearted women throughout Arizona. Their mission is to act as ambassadors and advocates for SVdP and the community in which we serve. The women of WISH reach out to the community through education and service, not only to share the mission of SVdP, but also to create a culture of respect and love for women. 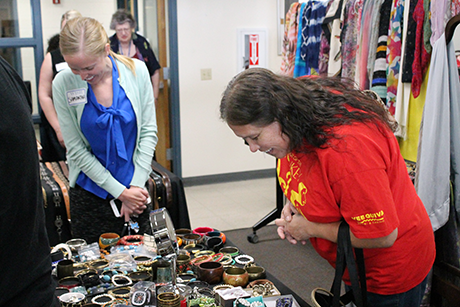 That culture of love and respect echoes SVdP’s mission to feed, clothe, house and heal those in need. Today, the mission of WISH has brought the group to our Family Evening Meal where they have prepared a surprise for the female guests of our dining room. 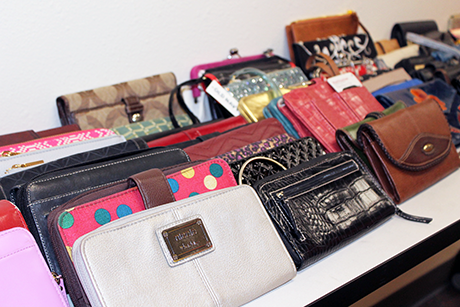 For weeks, WISH has collected purses, wallets, jewelry, accessories and makeup, all in preparation for tonight's special surprise. During dinner service, the members of WISH take a few minutes to explain why women, especially mothers, play a pivotal role in the family. “I think women in general have to be strong. We have to be courageous and we often times give beyond ourselves,” WISH member Renee Hanson explains. “I think women who are raising children will sacrifice themselves for other family members. So tonight is an opportunity for us to treat them!” With those parting words, the surprise is revealed: matriarchal appreciation. 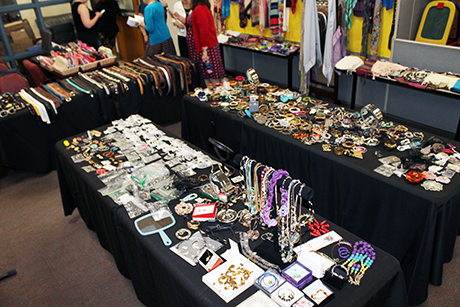 Every mother in attendance is given the opportunity to “shop” in SVdP’s special pop-up boutique. There, she can pick out a new purse, wallet, jewelry, accessories and makeup all for free. Each guest is paired with a member of WISH, who will serve as their personal shopper. The excitement spreads through the dining room as each woman is called one-by-one and taken inside the shop. “Our goal tonight is make every woman we interact with feel special,” explained WISH member Anne Wuycheck. As a founding member of WISH and a longtime supporter of SVdP, service has always been an important aspect of her life. And their goal was achieved. These female leaders of WISH are developing a new type of service at St. Vincent de Paul, one in which empathy and identity play key roles. Their service is rooted in helping women create stronger communities and families. And that is exactly what WISH has done—spread goodness and joy to the women of St. Vincent de Paul. For more information about joining WISH, please contact Andy Romley at ARomley@svdpaz.org.